In large red letters on a yellow background, this nice 1930’s sign measures 12 feet in length. 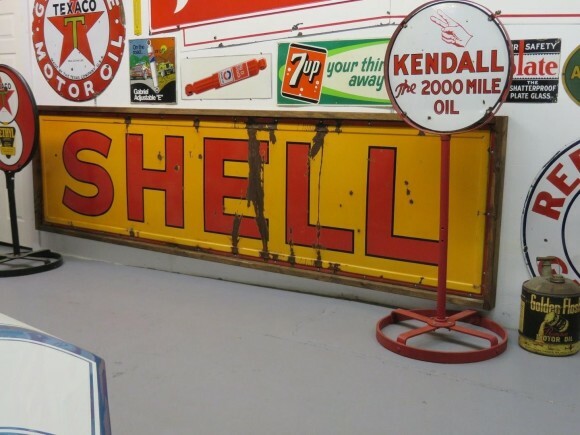 The text on the sign reads “Shell” and has a small red boarder with a small lip. This sign is a true collector’s piece and would be valued in any collection.